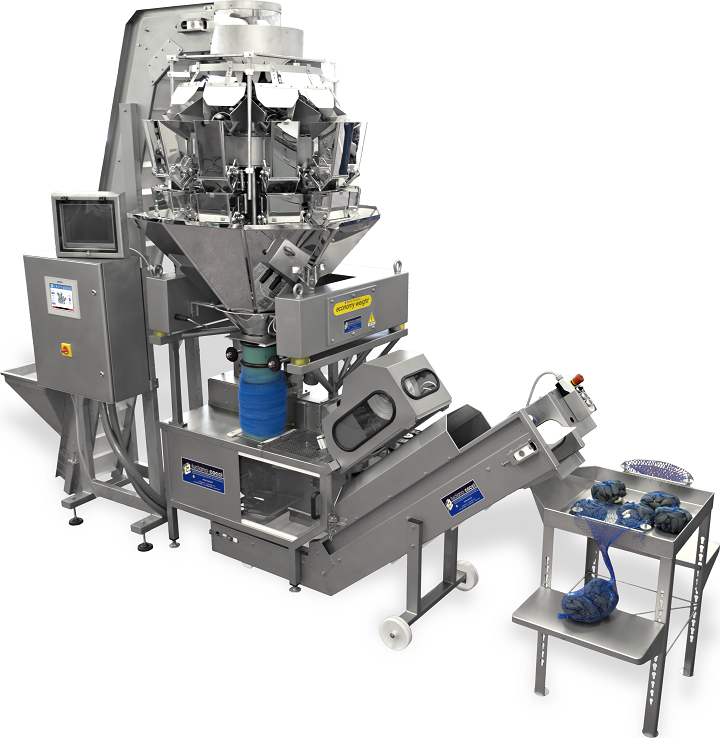 The weighing belt is equipped with an electronic system that allows the operator to easily weigh the product thanks to two stainless steel loading cells and dose it in bags or trays. 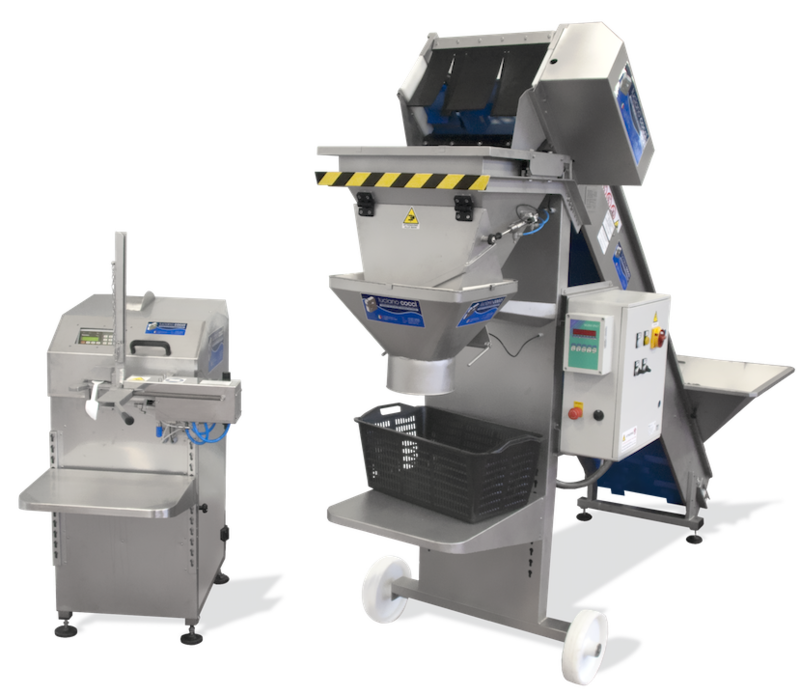 The latest evolution of the weighing belt is equipped with an advanced electronic instrument through which it is possible to program and store the various weights (for example, 3 kg, 5 kg or 10 kg), which can be quickly recalled using a manual selector. 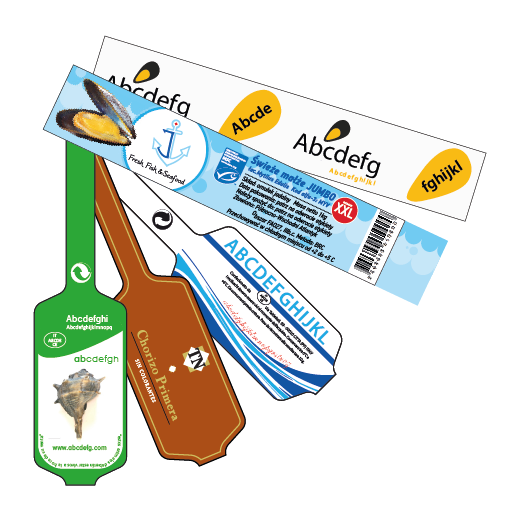 In the case of packaging in bags, it is possible to complete the packaging process with a manual bag closer or with a manual clipping machine. In our plants we use the best materials to work in the presence of water and moisture, and we address the aspects of health and safety down to the smallest detail. The structure of the belt is made entirely of Aisi 316 stainless steel, the transport belts are made of plastic suitable for contact with food and the control panel is designed to have IP65 protection, all in line with the European Community regulations for this sector. 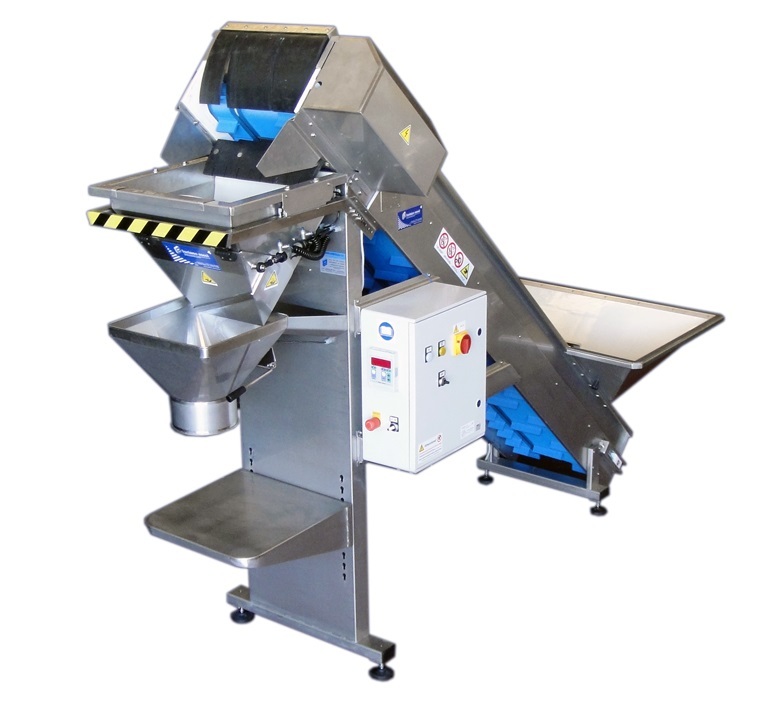 All parts of the weighing belt have been designed to be easily washed and sanitized, and for this reason the tape is particularly suitable for the entire seafood and agrifood industry, as in the packaging of the shellfish, fruit, vegetables, and so on. 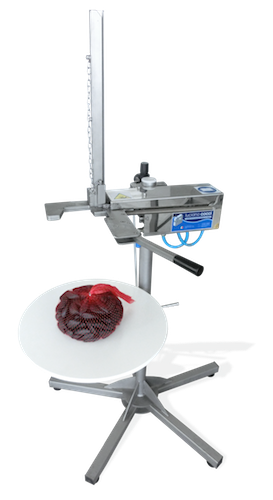 The weighing belt is designed, like all other our products, to work in critical environments with a high degree of humidity and salinity, for example in the processing of shellfish such as mussels, clams, snails, and other products of the sea, but it is also suitable for working with any type of food, such as nuts, olives and cheese products. 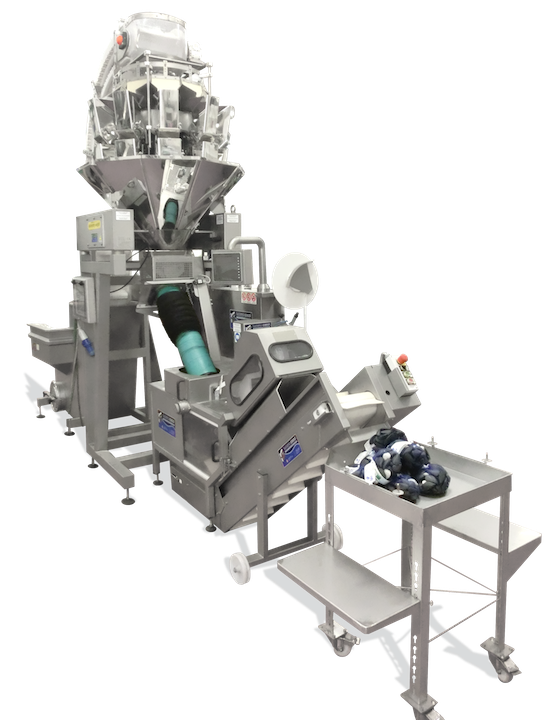 The attention to details that distinguishes our company allowed us to achieve a weighing accuracy that is not found in other similar products on the market. 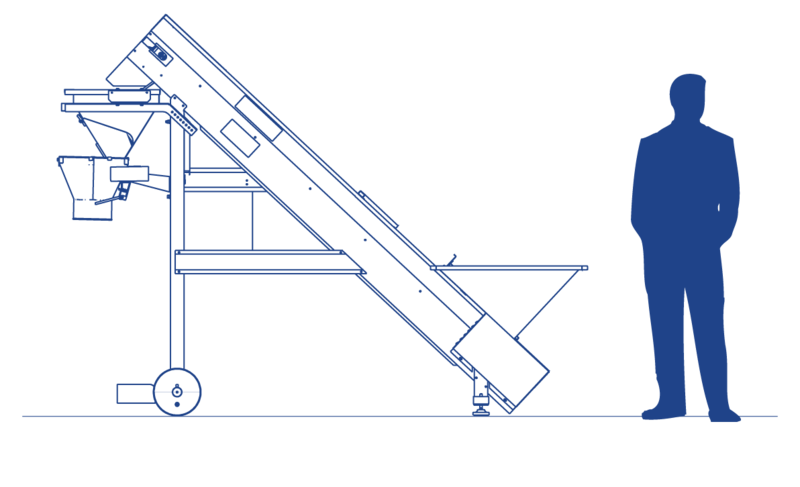 Thanks to a double load cell made of Aisi 316 stainless steel and two special belts that allow the water dripping from the product prior to loading, our electronic weighing belt avoids all potential sources of errors that can lead to significant weight changes, achieving a greater precision and having a positive direct impact on the economic efficiency of your company.